A year later and after more intense touring, Roadmaster entered the studio to record their fourth album, this time with producers Flo and Eddie (original members of The Turtles and also part of Frank Zappa’s Mothers Of Invention), and co-producer John Stronach, who’d made his name working with REO Speedwagon, Joe Walsh and Dan Fogelberg. 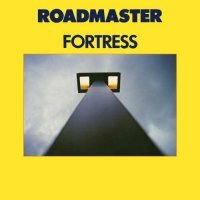 As far as Mercury Records were concerned this was their last chance, but despite some solid songwriting and good performances, ‘Fortress’ would ultimately fall a little short in the eyes of most fans because it veered away from the immense pomp that Roadmaster were now known and loved for. It’s certainly not a bad album by any stretch, with the soaring ‘Ride The Wind Away’ and the dramatic ‘Someday’ joining the list of existing classics despite the flat drum sound and the sparse keyboards. In fact, it’s the keyboards that suffer most on this album and ‘Satisfied Woman’, ‘New York, New York’, ‘Another One’s Running’ and ‘Too Long, Too Long’ are all guitar based with some sterling work from Rick Benick. On the plus side the vocals are clearer due to not being swamped by the layers of instruments, as shown by the energetic ‘I Didn’t Notice’ and the excellent ‘Stay With Me Through The Night’. The laid-back ‘You Make Me Feel Alright’ is a little dull but the songwriting in general on ‘Fortress’ just can’t be faulted. It’s never really been mentioned if the change of direction was down the band or the producers, but fans have generally blamed the latter. Again the sound has been greatly improved and Dave Reynolds has done a good job of making the sleeve notes interesting and informative despite the lack of input from band members. 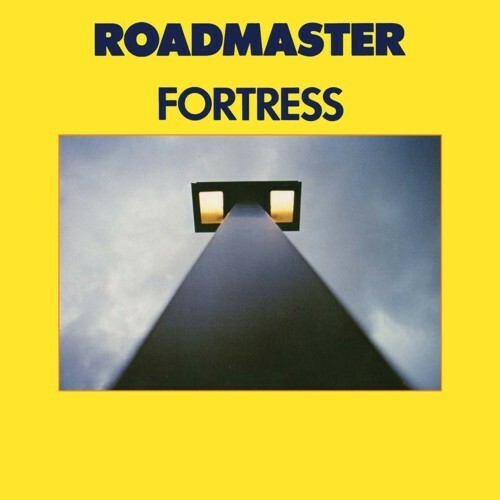 It turned out that ‘Fortress’, despite being their last major label release, wasn’t their swan song, the band periodically reformed for reunion shows in the late 80s and mid 90s. They put out an independently released live album in 1989 that contained five new studio songs and a DVD is available of a show from 1993 that featured all the notable members past and present. Stephen McNally sadly died in 1998 and the other members have understandably refrained from doing anything under the Roadmaster name ever since. They may not have sold records in the same numbers as Styx, Kansas, or even their friends Angel, but for a few years they were just as creative and these three albums are a testament to that.